Feel better. Improve your function. Stop relying on medications with harmful side effects. At Discover Chiropractic, Fremont Chiropractors Dr. Hans Freericks, Dr. Paul Fisher and Dr. Diana Leon have over 50 years of combined experience to benefit you. Each chiropractor at our practice is here to help you reach your individual goals, taking a customized approach to every person’s care. Your chiropractor will take all the time needed to understand your concerns and how they’ve affected your life. If we feel that we can help you, we’ll tell you. If you need to see a specialist other than us we will refer you appropriately. Before your chiropractic care begins we will be in agreement that you are getting what you want out of care and on a path to get results. We believe that you have the ability to stay healthy and functional well into your 50s, 60s, 70s and beyond. You deserve to do the things you love without limitations, and a chiropractor can help you get there. Our drive comes from the desire to help people reclaim their lives and stop suffering through powerful and all-natural therapies. Your chiropractor will focus on your entire lifestyle because we know you don’t only want to feel good, you want to be able to do all the things you enjoy. Whether you are in acute pain, have a chronic condition that you thought you would have to live with, or have been in an auto accident, we can help you. Regardless of your current health, your Chiropractor Fremont is here to support you in improving it. If you have recently been in an auto accident in Fremont, there are some important decisions you need to make. We recommend you visit us as soon as possible after experiencing an auto accident. We’ll have you complete some paperwork to get specific information about your injury. Our front desk will get your insurance information sorted out and checked for you. Then you’ll get a thorough evaluation. 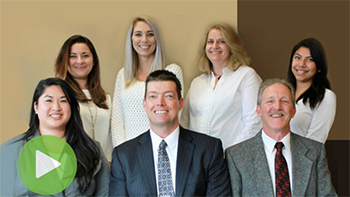 Contact our helpful and experienced team today to find out more — we offer same-day appointments so that you can receive the immediate attention you deserve! Contact your chiropractor in Fremont CA today at (510) 797-4796 . I have relief from shoulder pain and back pain. Thank you for being such a great influence to my life. I was surprise to learn I have a back problem that can be addressed by chiropractic treatments and increase the quality of my life not mention avoid surgery in the future. Happy I finally scheduled an appointment! I feel better than I have in over a year. Just wanna say ” Thank you, Dr. Fisher! “. You give me hope! I really appreciate the detailed overview of my condition and explanation of necessary steps. This greatly helps me understand the process and helps motivate me to improve my condition.